Engineering - Much time and effort is put into the engineering of equipment and work areas to minimize the risk of injury. OSHA and MSHA have federal mandates as to when engineering controls need to be explored and implemented and these are high on the list of the hierarchy of controls. These advancements have helped to get us where we are today as far as a safe work environment is concerned. Sociology - Companies have been drafting mission and vision statements for years that outline their beliefs and values as far as safety is concerned. These statements are well thought out and are usually articulated on banners, and in company manuals alike. Significant time and money is spent drafting these documents and shaping managements direction on the safety front. Psychology - The individual values beliefs and behaviors of the hourly workers are one of the main components that make up a company’s true safety culture. If everyone in the company were 100% bought in with the company’s safety mission, and if everyone’s values, beliefs, and behaviors reflected it, we would undoubtedly see large measurable safety gains. Economics - Most studies show indirect costs due to workplace injury being near 4 times that of the direct costs. 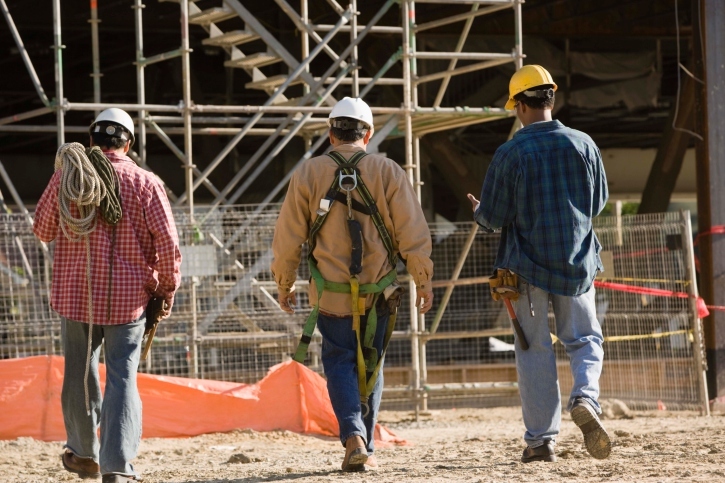 Some safety managers do not like to mix the money and safety in their training sessions with hourly workers, but the reality is that the economics of safety is a necessary component, and when given a choice to voice their opinions, some will rank the economics as number 1. How would you rank the 4 factors above? I have asked a similar question to upwards of 1,000 hourly workers in the construction materials industry. Sand and gravel pit workers, people in concrete and paving operations, and many support areas such as engineers, electricians, heavy equipment operators and mechanical workers. Whenever I show employees similar short definitions for these aspects, and then ask them the question, “Which of these four aspects do YOU FEEL has the greatest impact on safety?” the vast majority of people routinely choose “Psychology.” These results are being gathered through remote control audience response devices that are used during various types of safety training classes. The reporting function allows us to accurately quantify the results. As injury rates and fatalities rates start to come to a plateau after years of decline we need to figure out what the next move should be in the fight for a safer workplace. The numbers would suggest that the gains due to simple compliance have almost run their course. Higher fines and stricter regulations are not enough to get our safety numbers to improve. This has driven some researchers to look at new avenues, such as human traits, to find a link between the way we are psychologically “hardwired” for safety (our SafetyDNA, if you will) and the likelihood of injury. We are now using validated psychological assessments to gather data from individuals to quantify individual exposure levels, and using existing injury data to verify the findings. This approach assesses the stable psychological traits and abilities of the individual and quantifies them in a way that allows us to essentially predict the likelihood of an injury with a strong and statistically significant levels of accuracy. What really intrigues me is that we safety professionals have been researching for decades, and all we had to do was ask the very people we are trying to protect. We have been working on the other 3 aspects, hoping the 4th would “just happen,” always confused when it doesn’t. Why do some people get it and others don’t? Why do some get hurt and others don’t? Same mission statement, same engineering, and the same cost of injury. We are not going to offend the hourly worker by quantifying their personal traits and showing them the links between those traits and the likelihood of injury. They want that information, and desire to become safer on an individual level. You know how I know? I asked them.